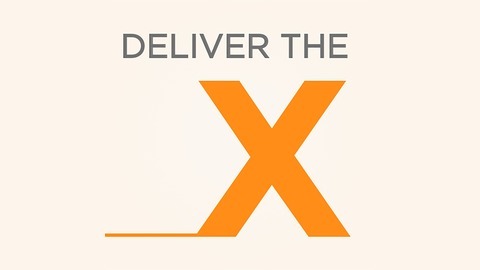 Welcome to Deliver The X podcast. 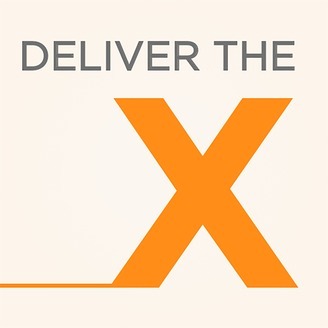 I'm Rob Dube, President and Co-Founder of imageOne, and during our podcast, we'll learn how extraordinary teams deliver extraordinary customer experiences. My business partner Joel Perlman and I met in grade school. In high school, we started selling Blow Pop lollipops out of our locker. We'd buy them for a nickel and resell them for a quarter. Of course, that was a pretty nice profit margin, but more importantly, we just really enjoyed taking care of the kids. I think providing an extraordinary experience just got into our blood, and it got enhanced when we were in college. In Ann Arbor, Michigan, we started going to a deli called Zingerman's Deli. If you haven't heard of Zingerman's, please check them out online. They're pretty famous at this point, and Inc. magazine named them "The coolest business in America" in the early two thousands. Their CEO and Co-Founder, Ari Weinzweig is consistently ranked as one of the top leaders in America -- maybe even the world. When you'd go to Zingerman's -- and it's still true today -- you’d just get this unbelievable experience at every corner. From just standing in line to the smells, the products, and most importantly, the people who genuinely care. That just brought our heightened awareness to what great service and what a great customer experience is all about. We later learned about Small Giants. These are companies around the country that are going to market in a much different way with some core principles like how important it is to care for the totality of their team members' lives. That really resonated with us, so much so that after a 10-year journey of bringing on the Small Giants concepts into our company, imageOne, Forbes magazine listed us as "One of the 25 best Small Giant companies in America." When it comes to business these days, I think we're all recognizing that good just isn't good enough anymore. A lot of companies are great at acquiring customers, but they have a hard time retaining them. When that happens, obviously it impacts your word of mouth business. It's going to reduce your profits. Your team's not going to be as happy which means employee satisfaction is going to go down and you're going to have excessive turnover. You're going to be spending time on those types of things. It's really becoming a cycle that we're noticing, and leaders are having trouble figuring out how to break that cycle. We hope some of the wisdom from our guests. Dan has over 15 years’ experience with a diverse background working in the military, wireless, printers & I.T. During these years, Dan acquired a broad range of technical and sales skills that enables him to lead our sales team in presenting cutting edge technology solutions to our valued clients. When Dan is not directing our sales force, he enjoys spending time with his wife and 2 daughters, and doing outdoor activities such as boating and hiking. Little do people know, he was once an assistant wide receiver coach at a university in Chicago.